Our Austin staff of eight people (yup, eight employees!) 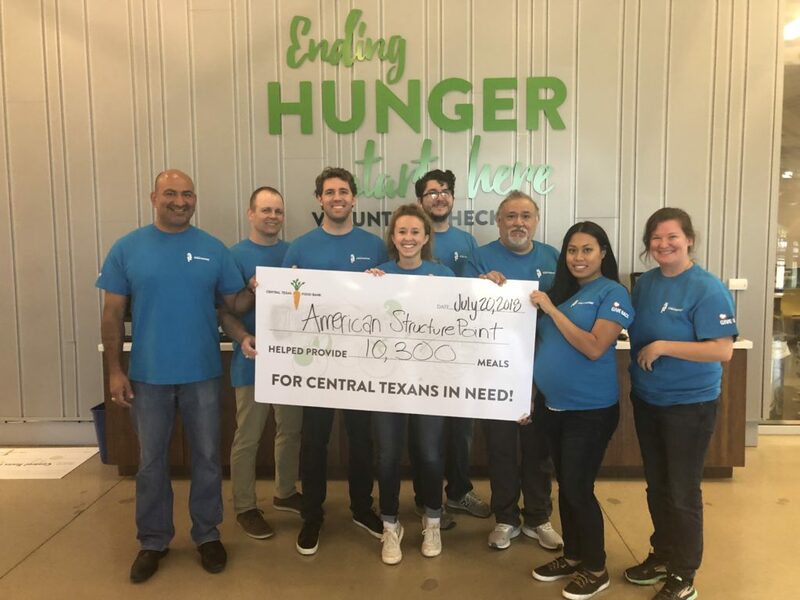 completed a day of Service at the Central Texas Foodbank on July 20. They worked at the warehouse sorting through food and bagging meals. At the end of the three-hour shift, our crew and the rest of the volunteers bagged a total of 10,300 meals! Those meals will serve families in 21 Central Texas counties at soup kitchens, food pantries, after-school programs, and various other service sites. When finished with the food sorting, they made a check presentation for $10,300. Way to go, Texas Team!